So I had this idea for a scarf a week or two ago, searched for a stitch pattern, played around with some yarn…and it didn’t work. Rip rip rip. But! Then I had another idea and worked up the swatch above. So pretty! 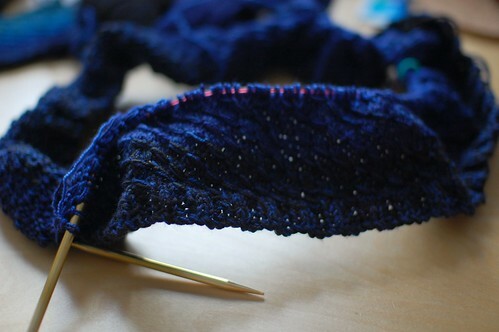 Are you holding two different yarns together to get the subtle colour change? I eagerly await the pattern! 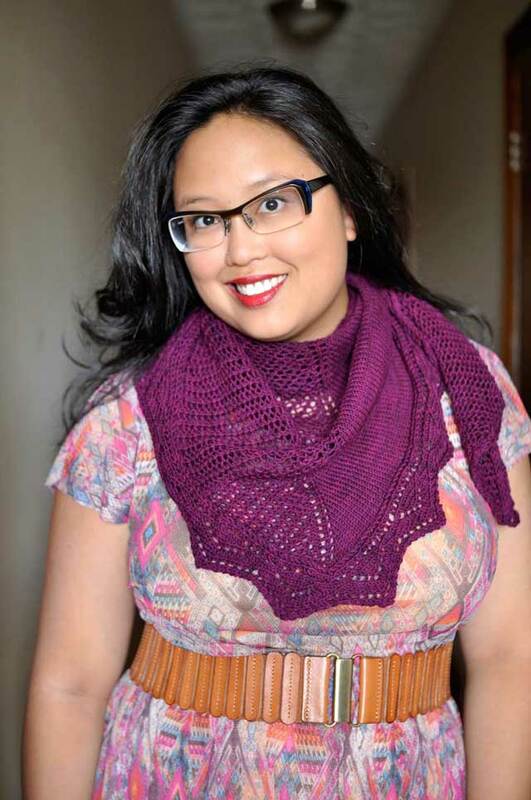 Oh goodness, that is beautiful – both the yarn and the pattern. I LOVE the ombre effect!!! looks amazing in those shades of blue. That looks brilliant. Well Done. I want to steal that scarf. It’s in all of my favorite shades of blue! Instead, I’ll be good and just make moon eyes and that gorgeous scarf on my monitor. That is so pretty! And the colours, just gorgeous. Very pretty! I definitely need to get me a blue scarf! OMG! I love that yarn! What is it? 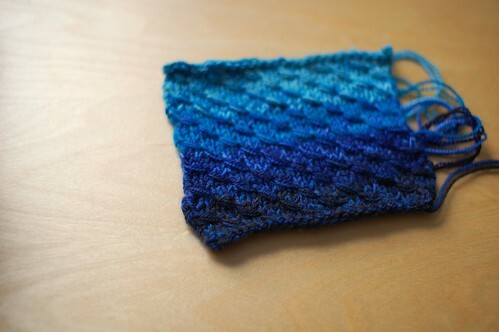 I want to make a scarf too. Gorgeous! I’m intrigued–it looks like a side-to-side scarf. Although I’ve never done one of those, they look like fun! Gorgeous. I love the way the blues shift.